This template shows a 90 degree arc of sight. 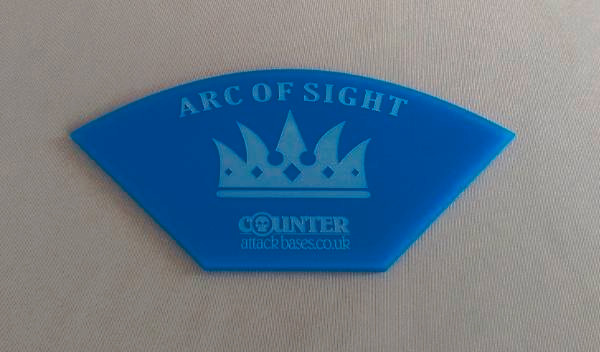 Perfect for use in Kings of War or any other unit based tabletop games! Can be customised! Swap the crown logo for your own image or text! Simply select 'Customise' and email us with the details.